“Today, besides Turkmenistan, more than 170 countries have joined the Ramsar Convention, and a total of 2,337 wetlands worldwide have been designate for inclusion in the List. They cover 252 million hectares, including ecosystems of different composition. In our country, there is just one such territory that covers more than 267,000-hectare area within the Turkmenbashi Gulf. This extensive natural object has a conservation status of international importance and a special management plan has been developed for it. 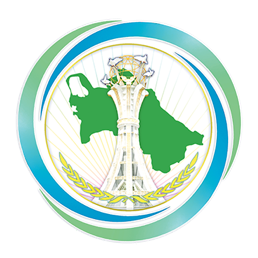 “The Ogurdzhaly reserve together with the South Cheleken Bay, the Turkmen Lake, the water reservoir “15th Anniversary of Independence”, the Kelif ornithological reserve, the Sarykamysh Lake, Soltandag-Kyzylburun Lake, and Gurtly Lake near the capital, will be nominated as an urban wetlands. River valleys and oases, the main natural component of which are wetlands, occupy about 20 percent of the territory of our country. Mainly, they are located along the Caspian coast, the valleys of the Karakum River, the Amu Darya River, the Murgab River and the Tedzhen River with their channels and spills. These areas are protected not only as a habitat of waterfowls and other representatives of biodiversity, but also as the precious water reservoirs, the regulators of water and temperature regimes. “To coordinate the regional and international cooperation on water issues, at the suggestion of the Secretariat of the Ramsar Convention, the Ramsar Regional Initiative for Central Asia (RRI-CA) and its Coordination Committee were established in the Central Asian region in 2016. The new structure aims to promote the study and protection of wetlands, their sustainable use, and the involvement of the representatives of various departments and business structures in the multi-format work. “One of the areas of work of Turkmen ecologists in the context of the Ramsar Convention provisions is to conduct the annual surveys of waterfowls and wader species, including hibernating cranes. In December and January, the monitoring was initiated by the working group of the Ramsar Convention with the assistance of the Ministry of Agriculture and the Environment, the Finland department of BirdLife International, the Royal Society for the Protection of Birds (the United Kingdom) and the Menzbier Ornithological Society. It was a pleasant surprise for scientists! 17,000 white-headed ducks and 300 Bewick's whistling swans were found in the Caspian region, 10 species of lesser white-fronted geese – in Serdar Etrap.